Sumi-e scroll. 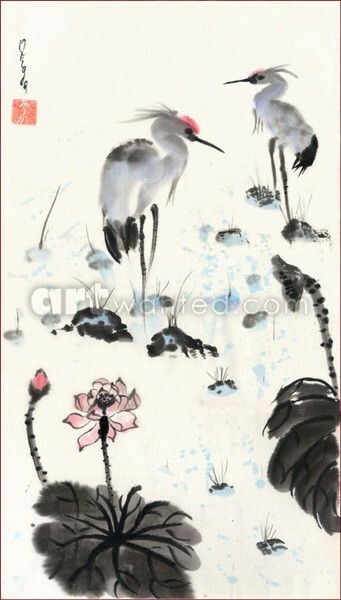 Sumi ink, Chinese watercolors. Double Shuen rice paper, mounted. Size 10.5" x 18" (26.5 x 45.5 cm). The painting is in private collection in Japan. You may commission a similar ORIGINAL painting from me. Deep within the stream (Kingfisher).